Super Speller contains 40 weeks worth of spelling lists, with practice lessons for each list. It covers Basic and Advanced Code and management of 3-sound words, adjacent consonant sounds, and multi-syllable words. 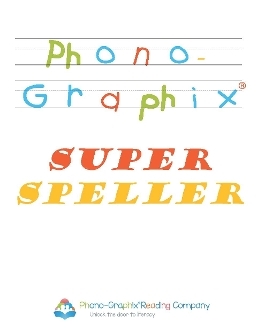 Also included are ten pages of Phono-Graphix spelling theory and instructional parent handouts to get parents busy on the weekly spelling words.